Royal Mail and Kantar TNS partnered on this project with one commercial goal in mind: to help direct mail flourish in today's digital media world. As new communication channels emerged, mail was increasingly ignored by advertisers and media planners. 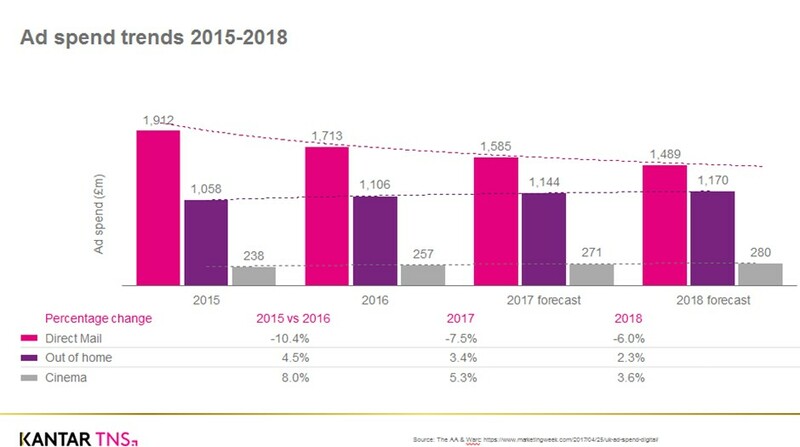 With a -10.4% drop in its use in 2016 versus 2015 and a 7.5% fall forecast for 2017*, it needed to avoid sliding into decline, to catch up with other channels and grow annual spend beyond the then current £1.7 billion. The most effective way to prove its impact in driving commercial actions in the modern media environment was to create a respected industry currency. Only then could we hope to change attitudes and revive direct mail. Advertising mail had only been measured at the basic level of direct response – its impact on purchase decision-making and brand metrics were missing. Mail isn't passive: we needed to capture how panellists engaged with the process of receiving, sorting, categorising and reading mail. There was no classification system for recording the different types of mail received. Panellists required a simple process to capture every item received, then track its progress. We needed to build and maintain a representative sample that included all household members who interacted with the mail.